“[Nigel Farage] himself claims that this is the case, that such agreements exist,” Brok claimed. “I do not know if he’s just making a fuss about it now, or if that’s true. But if I see the policy of Salvini, I think that’s imaginable. “As I said, the extension must be unanimous in the Council, in the European Council. And that is always in the unpredictable,” the German MEP told broadcaster Deutschlandfunk on Sunday. France’s Emmanuel Macron may also possibly veto an extension, unless Britain agrees to strict concessions which may include a softer Brexit. 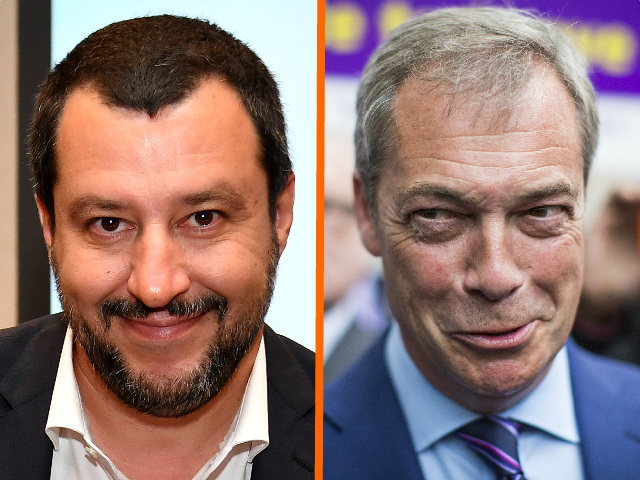 Breitbart London reported last week that EU leaders will only grant a long extension, should the current deal be voted down for a third time by MPs, if the Prime Minister agrees to use the time to decide between a second referendum, staying in the EU’s Single Market and Customs Union, or cancelling Brexit altogether. While Remainers and establishment media have criticised Mr Farage for “lobbying” foreign leaders by making his veto request, the European Union was happy to undermine the Prime Minister itself in February, declaring that it preferred the Brexit plan of opposition leader Jeremy Corbyn as a means to break the Brexit deadlock. Blair is also reported to have met with European Commission president Jean-Claude Juncker to discuss Brexit, and Michel Barnier, Brussels’ hardline Brexit negotiator, had also reportedly met with the Tony Blair Institute in 2018. Moreover in 2017 former Liberal Democrat leader Nick Clegg, notional conservative Tory MP Ken Clarke, and Labour’s Lord Andrew Adonis — dubbed the “Unholy Trinity” by Farage — were invited to meet Barnier to discuss Britain’s exit from the EU, despite none of the lawmakers representing the British government’s position, and all openly backing Parliament overturning the will of the people, who voted to leave the EU in June 2016. There is supposed to be a third vote on Theresa May’s Brexit Withdrawal Agreement this week. Should the vote be lost, she will ask the EU 27 to support a delay to Brexit.